Versatile doesn’t begin to cover it, and neither does excellent. 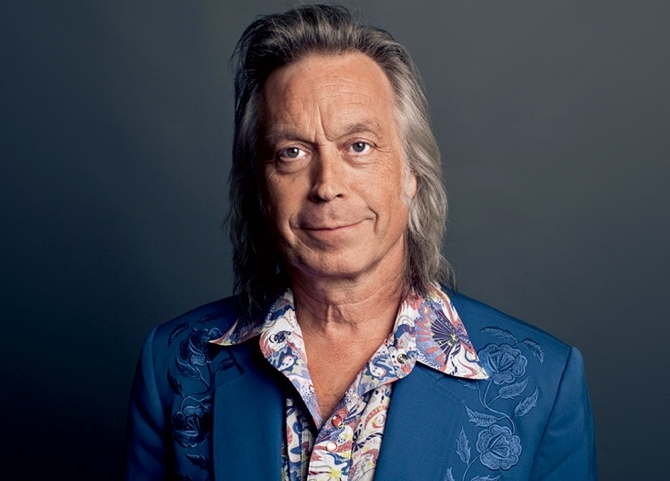 Jim Lauderdale is just so damn good at so many styles of music – maybe the word is masterful. Bluegrass, country, soul, folk – for Jim, it all falls under the umbrella of Americana – roots music at its finest, and that’s the music he makes. He’s won two Grammy awards, written songs recorded by such artists as the Dixie Chicks, Patty Loveless, Shelby Lynne, Solomon Burke, and George Strait, and released more than two dozen albums since 1991, including a pair featuring songs co-written with Robert Hunter of Grateful Dead fame, Black Roses and Blue Moon Junction in 2013, I’m a Song in 2014, and, most recently, Soul Searching, with Volume I recorded in Memphis with a distinctly soul sound, and Volume II, recorded in Nashville, with a more country feel. The consistently high quality of these diverse albums is nothing short of amazing. Born in North Carolina, raised in South Carolina, with stints in New York City and Los Angeles before settling in Nashville, Jim has worked extensively with such artists as Ralph Stanley, Elvis Costello, Lucinda Williams, and George Strait. Since winning the Americana Music Association’s first awards for Artist of the Year and Song of the Year in 2002, he has hosted their awards show every year since. He also hosts Music City Roots each week from the Loveless Barn in Nashville, and co-hosts, with Buddy Miller, The Buddy and Jim Show. His music has been featured on ABC’s Nashville and in the movie Pure Country, and he’s the subject of the documentary The King Of Broken Hearts. What really matters, though, is the music, and Jim’s is eloquent, heartfelt, and enduring.